The Alaska Inside Passage Cruise takes you through some of the most beautiful waterways of Alaska. The route includes hundreds of miles of shoreline and gorgeous coves and bays. You will also get great views of snow-capped mountains, iceberg formations, and glacial fjords. It's a trip of a lifetime for those who have always wanted to experience the beauty of this enchanting area. Currently, Princess Cruises offers two options to visit the Inside Passage. 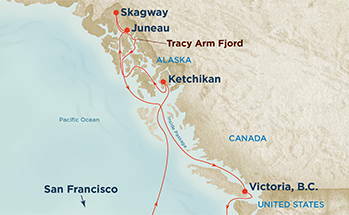 One includes time within Glacier Bay and the other includes a cruise into and around Tracy Arm Fjord. 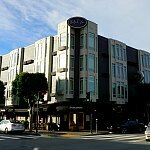 Both are 10-day excursions that start and end in San Francisco. Glacier Bay is a gem inside Alaska's Inside Passage. As you cruise around this national park, you will see magnificent fjords, beautiful coastline, and larger than life glaciers. Your visit to the park is on Day 6 of your journey. This Alaska Inside Passage Cruise also includes stops in Juneau, Skagway, Ketchikan, and Victoria, British Columbia, as well as four full days at sea. The map shows the planned route for this cruise. It runs yearly between May and September. This 10-day journey is aboard the Grand Princess. This large ship has capacity for just over 2,600 guests. It has 17 decks with four pools, eight whirlpool spas, and 1,300 guest cabins. On board, you will find three main dining rooms and several casual food options, including 24-hour room service and pool-side service. There is plenty of entertainment onboard—in the showrooms/lounges, at the movie theater, inside the casino, working out in their fitness center, and so much more. Day 1: Your journey begins when the ship departs San Francisco at 4pm on Day 1. Days 2 & 3: On these two days, you will be at sea as you cruise north from San Francisco toward Alaska. Day 4: On day four, you arrive in Juneau, Alaska at 1:30pm. You will have until around 10pm to explore this lovely city. You can enhance your stop here by signing up for one of these shore excursions. Day 5: On day five, you will arrive in Skagway, Alaska around 7am and be docked there until 8:30pm. This cute port town is home to only around 1,000 people. It also offers several fun shore excursions. Click here to learn more. Day 6: This day is the highlight of the trip. Your cruise arrives in Glacier Bay Park around 6am. All day long, you get the chance to admire the gorgeous landscape of this national park. You will spend all day here, aboard the ship, as you cruise around and learn more about the park. The ship will leave the park around 3pm. Day 7: The next day, you will arrive at Ketchikan, Alaska at around 8am. This waterfront town of around 8,200 people offers several fun activities, from visiting the White Pass Summit to spending the day in an old Gold Rush camp and trying your hand at panning gold. Click here to learn more. Day 8: On Day 8, you will continue south through the Inside Passage. This is a day at sea. Day 9: Your final port of call on this trip is Victoria, British Columbia. On Day 9, you will arrive at around 7am. You will have until 2pm to to explore this gorgeous city. Even though it's a short stop, you will have plenty of time to enjoy a shore excursion. Click here to learn more about the activities available in Victoria. Day 10: On the final day of your journey, you will cruise through the Pacific Ocean as you head south to San Francisco. Day 11: You will arrive in San Francisco at 7am on the morning of Day 11. Click here for dates and ticketing information on the Princess Cruises website. 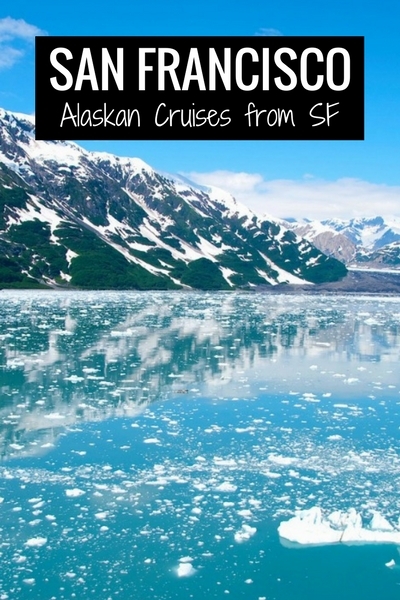 The second Alaska Inside Passage Cruise that departs from San Francisco is also a 10-night journey. The highlight of this cruise is a ride through the gorgeous Tracy Arm Fjord in Alaska. This beauty offers elevated glaciers, gorgeous mountains, and sheer rock walls that are over a mile high with waterfalls. On this tour, you will visit many of the same places mentioned above, including Juneau, Skagway, and Ketchikan. You will then make a stop in Victoria, British Columbia on your way back to San Francisco. This cruise is on the Grand Princess. It includes all of the same features mentioned above. Here is the full itinerary planned for this trip. Day 1: On Day 1, you will board the cruise and depart San Francisco at around 4pm. Day 2 & 3: On the second and third days, you are at sea heading north toward Alaska. Day 4: Your first stop is on Day 4. You will arrive in Ketchikan, Alaska at around 7am that morning. You have until 3pm to explore the town. Click here to find out about some of this town's fun shore excursions. Day 5: On Day 5, you will arrive in Juneau first thing in the morning. The ship is scheduled to arrive at 8am and you will have until around 9pm to check out this capital city of Alaska. Click here for information about shore excursions in Juneau. Day 6: The next morning, you will arrive in Skagway, Alaska. There are quite a few fun things to do here. Click here to learn more. The ship arrives at around 7am and it leaves around 8pm. Day 7: This is the true highlight of your journey. Today, you will spend five hours cruising around Tracy Arms Fjord. The ship will enter at about 5am and cruise around until about 10am. Day 8: You will be at sea all day today as you head south toward Victoria, British Columbia. Day 9: You will arrive in Victoria around 7am and leave around 2pm. This gives you plenty of time to check out this lovely city on the water. Click here for some tips on shore excursions here. Day 10: On Day 10, you will continue to cruise south toward San Francisco. Day 11: You will arrive in SF on the morning of Day 11 at around 7am. Click here for additional details and ticketing information for this 10-day cruise on the Princess Cruises website. Both of these cruises offer several fun stops along the way. Here are some of your top options for the four stops on both tours. Juneau is Alaska's capital and is home to around 30,000 people. This remote town is only accessible by boat or plane. It's a very popular stop for cruise ships, so you will find several activities available for you during your stop. One of the highlights here is the Mount Roberts Tramway. It takes you 1,800 feet above the city where you will get amazing views of the surrounding area. It's also the perfect spot for some hiking. At the top tram station is where you will find the Juneau Raptor Center, which is a wonderful place to learn about local birds. For those seeking adventure, you will have the opportunity to go ziplining, enjoy a glacier trek/climb, or glide through the snow on a dogsledding tour. You can also head back out on the water to go whale watching, take a tour of a local brewery, or try your hand at panning for gold. 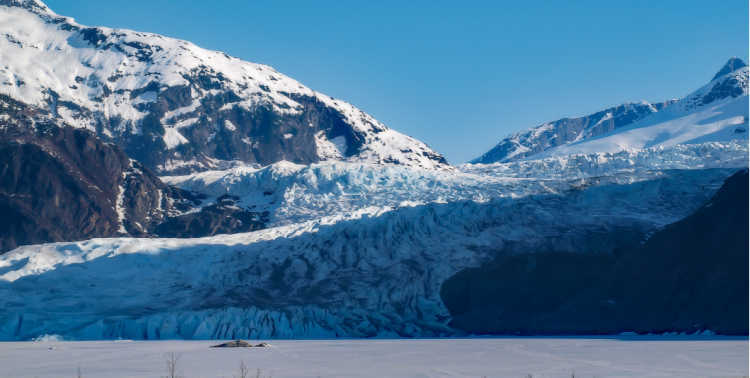 Click here to visit Viator and learn more about all of the shore excursions for Juneau, Alaska. Skagway, Alaska is a small waterfront town with about 1,000 people. It's small, but it's packed with fun activities. During your stop here, you can go panning for gold, visit one of their museums to learn more about this historic town, or stop by one of its gorgeous gardens. You can also head out for a hike on the Chilkoot trail, enjoy a scenic journey by train on the White Pass Rail, or relax on a scenic river float tour. Click here to visit Viator and discover all the fun shore excursions in Skagway, Alaska. Ketchikan is another small town along the waters on Alaska's Inside Passage. It's home to around 8,000 people. This small town offers several adventure shore excursions, such as an off-road jeep & canoe safari tour, ziplining, and the Eagle Island kayaking tour. It also offers a self-guided history walking tour, three informative museums, and a heritage center with a world renowned collection of totem poles. Click here to visit Viator and find out more about these shore excursions in Ketchikan, Alaska. Victoria, British Columbia is a lovely place to enjoy some outdoor activities. It boasts a mild climate and is the perfect place to set out on foot. You can explore the town itself or visit the Craigdarroch Castle. You can also have some fun ziplining, whale watching, or taking a city tour. Click here for additional details on shore excursions in Victoria, British Columbia. Pier 27 is where the majority of the cruise ships now dock. 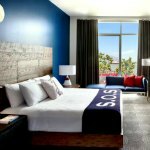 This new terminal is located just steps from Fisherman's Wharf. If you plan to stay either before or after your cruise, I recommend finding a hotel in this district. 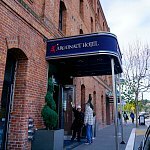 It's where you will find Pier 39, the ferries to Alcatraz, and Ghirardelli Square. 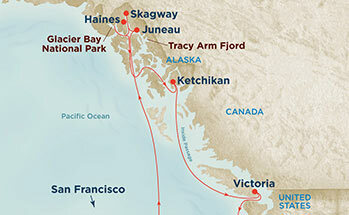 The Alaska Inside Passage Cruises run between May and September. Even though it's summer, you will find it cool and breezy. Most days, it will be in the 50s or lower 60s. I recommend packing layers. Bring along your summer clothes, but pair them with some light sweaters or jackets. This way, you can add and remove clothing as the weather allows. Make sure you also pack your best camera for this occasion. You will find so many picture-perfect moments during each of these trips. If you love animal watching, I also recommend checking out some lenses that will allow you to get in a little closer. Some of the best views during these journeys will be from the cruise ship, so you will need to investigate camera lenses that get you the shot you want. I recently purchased a new camera that I love. My old DSLR camera had been around San Francisco and the world one too many times and needed to be replaced. Instead of buying another heavy DSLR, I opted for a smaller mirrorless camera. After quite a bit of research, I selected the Sony Alpha a6000. It's a more compact camera, yet has what it takes to capture amazing shots. I use both the kit lens and the Sony E 55 -210. The kit lens is great for closer-up shots and the second lens is able to grab clear shots from farther away. Click here to visit Amazon to read reviews and compare prices for the Sony Alpha a6000.